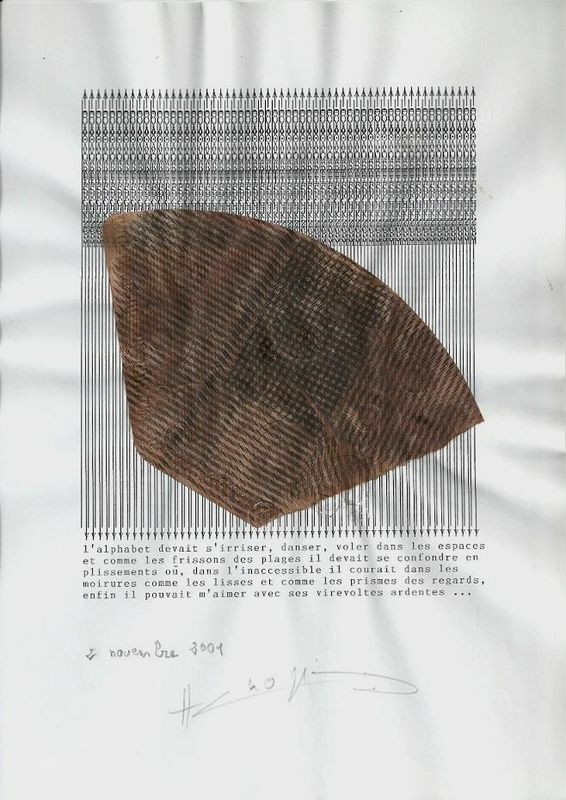 2. novembre 2001, 21 x 29,5 cm. 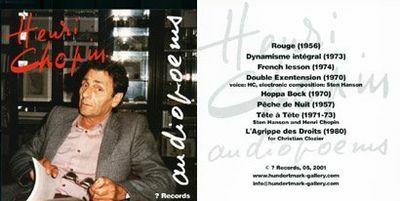 signed and dated, july 2001, 21 x 29,5 cm. 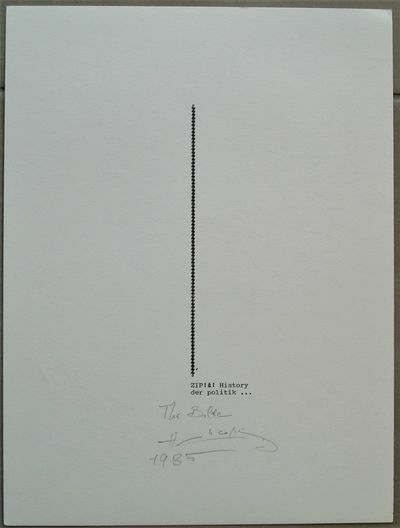 Typwriterpoem, signed and dated, 1985, 22 x 24 cm. 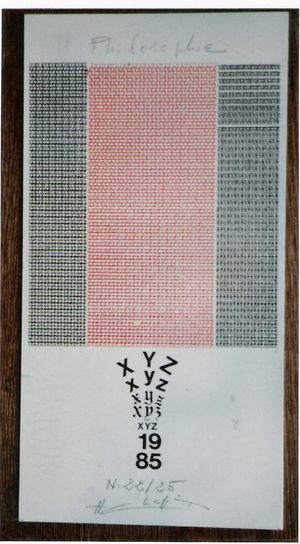 A two color silk-screen on a white metal plate. 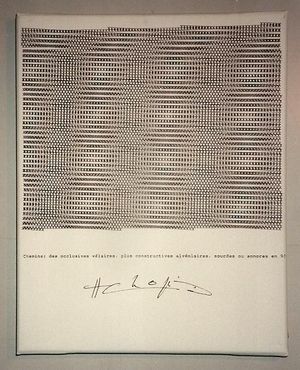 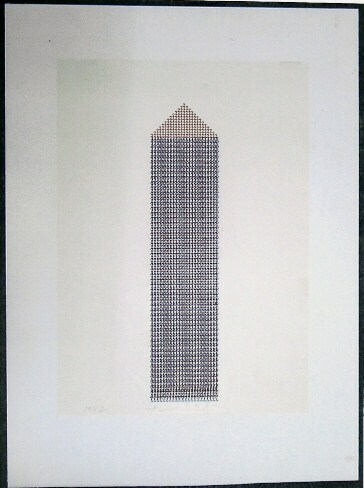 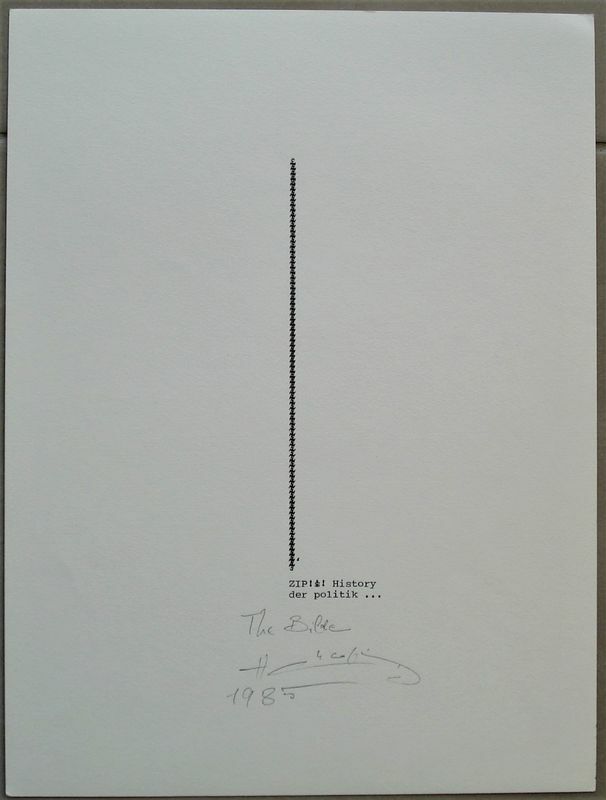 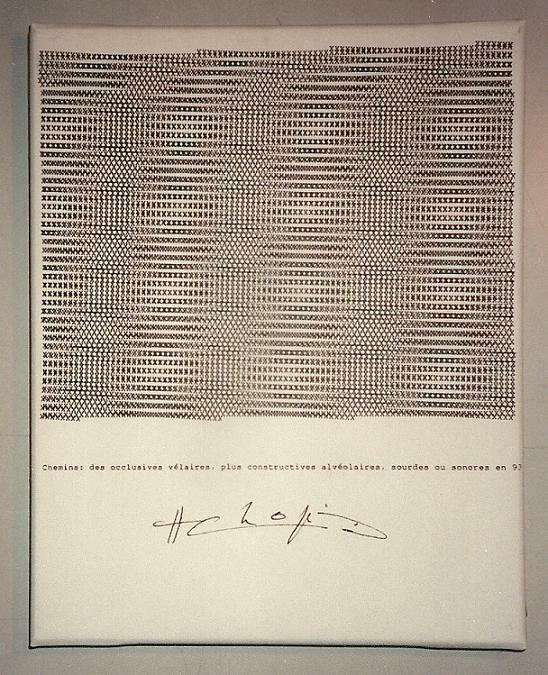 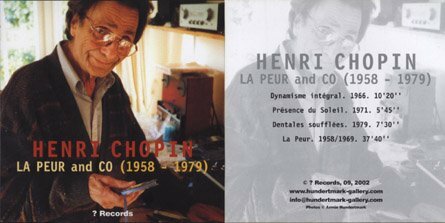 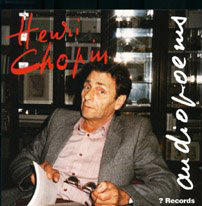 HENRI CHOPIN, "Cemins: des occlusive velaires, plus constructives alaveolaires sourdes ou sonores en 93"
A silk-screen on linen in an adjustable frame. 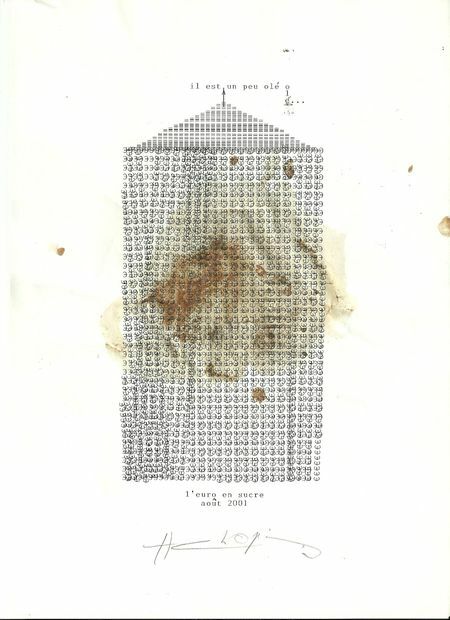 16 pages with typewriterpoems, cardboard cover, offset-print.